Came across an article that shows how to start using Bank Reconciliation with an existing checkbook in Microsoft Dynamics GP, so you can perform the reconciliation between the Ending Balance on the Bank Statement and the Current Checkbook balance within Microsoft Dynamics GP. Note Before you follow the instructions in this article, make sure that you have a current backup copy of the company database that you can restore if a problem occurs, or do this in a test company first. The Bank Statement Ending balance at this same point in time. The outstanding items for the above reconciliation at this same point in time. POST ALL BATCHES: Post all the batches from other modules (GL, Payables, Receivables, SOP, POP, etc.) that would affect the checkbook balance. You do not want any other items affecting the checkbook balance or the GL Cash account balance at the same time you are doing maintenance to the checkbook, so it is recommended to have all batches posted in all modules, and ask all users not to key/post any transactions to this checkbook ID or GL cash account during this time. a. Click Reports, point to Financial and click Checkbook. b. Select the report for Undeposited Receipts, and click New. c. Type in a name for the Option. d. Enter the Checkbook ID for the range and click Insert to add this restriction. e. Click Destination and choose to print the report to the screen, printer, and/or file, and then click OK.
f. Click Print to print the Undeposited Receipts Report. g. Review the Undeposited Receipts Report to identify which receipts have already been deposited to the bank and reconciled, and which receipts are still outstanding, or part of an outstanding deposit as of the point in time chosen in step 1.
a. Click Transactions, point to Financial and click Bank Deposits. b. For the Option field, select Enter/Edit. c. Select the appropriate Deposit Date and Checkbook ID. NOTE: Leave any current cash receipts unmarked that have not yet been deposited to the bank. Clear Unused Receipts – Enter one large deposit for any receipts that are older than the date chosen in step 1 and not part of an outstanding deposit as of this date. This option simply drops the receipt from the Deposit Entry window and does not affect GL. Use this option to clear all old unused data, as you will want to clear all receipts from this window that will not be needed going forward. Deposit Without Receipts – If needed, use this option to enter any ‘outstanding’ deposits as of the date chosen in step 1, where you could not find the receipts listed that make up this outstanding deposit. This option will affect GL and increase the cash account balance, so you must be absolutely sure that the cash receipts that make up this deposit were not listed in the window (so that GL is not updated twice for the same cash receipt amount). Deposit EFT – Enter a deposit(s) and mark any receipts that are part of any ‘outstanding EFT deposit’ for cash receipts as of the date chosen in step 1. This option does not affect GL. Note: If you are not registered for EFT for Receivables Management, you may not have this option listed. f. Click Post for each deposit keyed. Enter as many deposits as needed, and ensure all receipts for old data or receipts included in an outstanding deposit have been marked off. Click Transactions, point to Financial, and then click Reconcile Bank Statement. Select the appropriate Checkbook ID. Enter the Bank Statement ending balance, and the Bank Statement ending date from the statement that was used in step 1. Specify a Cutoff Date that is the last day of the month that is being reconciled (which is typically the same date as the Bank Statement Ending Date). This step will only list transactions in Bank Rec through this date and prevent the unintentional clearing of transactions from the following months. NOTE: A Difference between the Adjusted Bank Balance and the Adjusted Book Balance should be expected, and will cause the Reconcile button to be unavailable at this point. Leave this window open in the background, and proceed to the next step. 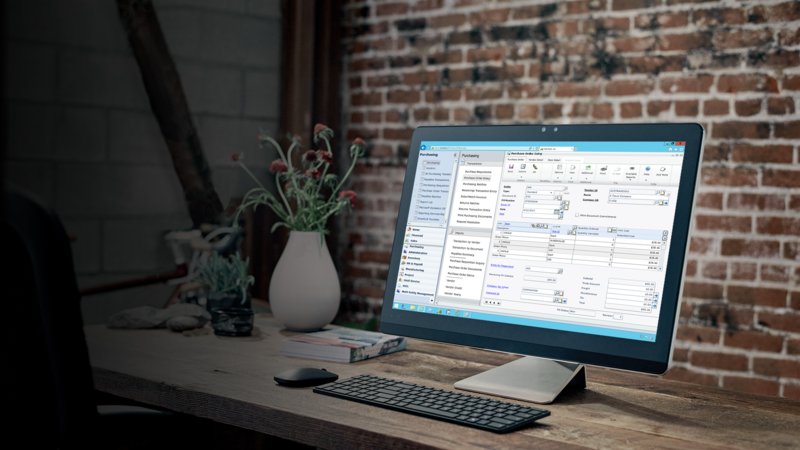 a. Click on Microsoft Dynamics GP, point to Tools, point to Setup, point to Posting and click on Posting. b. In the Series list, select Financial. c. In the Origin list, click Reconcile Bank Statement. a. Back in the Reconcile window, click on the Adjustments button. The Reconcile Bank Adjustments window will open. b. Take note of the Difference listed at the bottom of the window and key the adjustment needed: If the Difference is a positive number, select Other Expense. But if the difference is a negative number, select Other Income. c. Enter the cash account. Remember that you turned off posting to GL in the prior step, so no entries will actually be made to GL. d. Enter the amount of the adjustment needed so the Difference shows as $0.00 at the bottom. e. Click OK to close the Reconcile Bank Adjustments window. a. Back in the Select Bank Transactions window (or Reconcile window), click File and click Print to open the Print Reconciliation Reports window. b. Print the Reconcile Edit List report, and then print the Outstanding Transactions Report. Review the reports and make any changes as necessary. Note Make sure that these reports match the reports from the reconciliation in step 1. Specifically, make sure that the outstanding transactions and the Bank Statement Ending Balance match. If any transactions are missing from the Outstanding Transactions report, you must enter them in Bank Transactions, and you must make sure not to post to the general ledger if the transaction has already updated GL. a. Click RECONCILE in the Select Bank Transactions window to perform the reconciliation. b. Print the Posting reports to screen/file/printer as you wish. Note: Make sure the Outstanding Transactions Report contains the correct Reconciling items to carry forward.